In the midst of enjoying yet another brilliant season for Everton, Leighton Baines produced a man of the match display for England on Friday night, however a number of ‘leading’ pundits continue to push the claims of Ashley Cole ahead of Everton’s number 3 for the England starting jersey. If as expected, Roy Hodgson picks Cole to start England’s World Cup qualifier against Montenegro on Tuesday night, Everton left back Baines, will find himself in the all too familiar position of being overlooked by a second successive England manager for the important competitive internationals. Now, don’t misunderstand me, Ashley Cole has potentially been one of the best left backs to represent England and has enjoyed a tremendous career, winning numerous honours for Arsenal and Chelsea, and accumulating 100 caps for the national side. He has widely been regarded the best left back in the world for a number of years and has never let England down with his on pitch performances. However, over the last 18 to 24 months, there has been a definite shift in terms of performance. As Cole’s levels have dropped ever so slightly, Baines has raised his to new heights, not only creating a hat full of chances, but also adding a golden touch in front of goal. I don’t want this to become a statistical breakdown of Baines vs Cole, but it is hard to ignore the stats. Looking at the statistics on the Premier League’s official website for the current 2012/13 season Baines has clearly had a more significant on field influence that his rival for the England shirt. 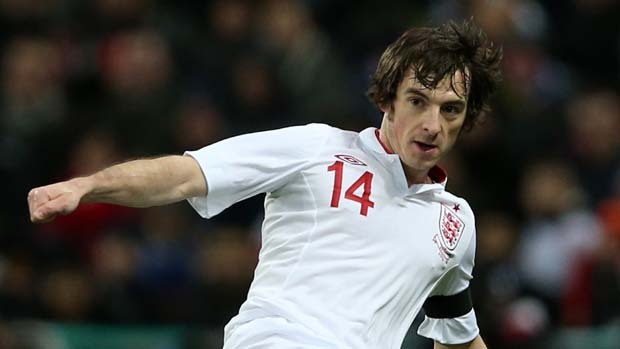 Baines’ attacking intent has been clear for a number of season’s now, and after settling into his role with England and with his confidence growing, he has become a significant threat for England in the oppositions half. Last season, his peers also recognised Baines as the leagues premier Left Back, selecting the former Wigan man in the PFA team of the year. I know a number of people will claim not to care too much for the national team, and I am certainly in that camp. So what if Baines doesn’t play on Tuesday night, he will return fresher for the Everton match with Stoke on Saturday evening. However, what is a concern, is that Baines may decide that it is Everton holding him back from claiming a regular starting place for England. A move to Manchester United, who have a long rumoured interest in Baines, would rightly or wrongly, increase his pedigree in the game. Regular Champions League football would most likely convince Roy Hodgson that Baines is the man for the World Cup ahead of his rival from Chelsea. Conversely, we have seen it go wrong so many times for players leaving the Blues. We need only look at Joleon Lescott, who not so long ago was celebrating a Premier League title win and a regular England starting position, but now finds himself out of the Manchester City team and contemplating a move away from Eastlands to strengthen his claims for a spot in Hodgson’s World Cup squad. Fingers crossed, Roy will do the right thing, and pick his team based on form and not reputation. Baines is England’s number one left back and deserves to retain his place on the left hand side of the England defence on Tuesday night.